Install a Holley EFI system in your LSx swap project today! 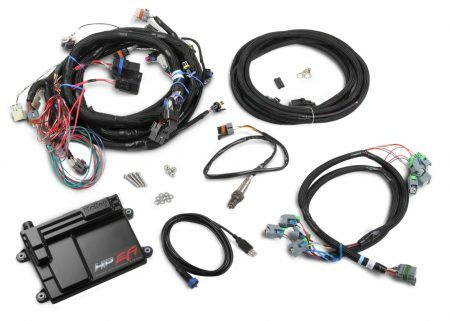 This kit is designed to work with an LS2, LS3 or LS7 that has a 58x crank sensor (what comes factory in a LS3). The injector harness for this kit is designed for what is called a USCAR connector, which is just the oval style EV6 connector. Most LS3’s come with a EV6 style injector from the factory. This system is setup to use a drive by cable setup. For use with a drive by wire setup you will need to upgrade to the dominator ECU. Please contact the sales staff for information on that system. Ideally this kit will be a great upgrade for any car that does not need to comply with any emissions standards. This system will allow the end user to modify the tune on the car on the fly and make accurate adjustments with real time data. With the internal data logging this system offers anyone looking to record track data or diagnose a problem can do so quickly and easily. 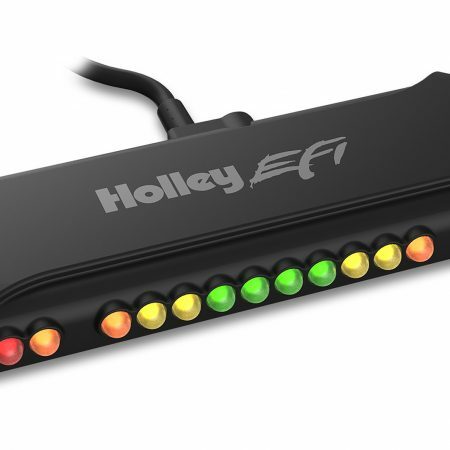 The Holley EFI system also allows for multiple failsafes to be programmed into the ECU to protect against engine damage, perfect for someone looking to focus on their driving and not their gauges. As far as wiring goes these systems are fairly straight forward. They come with a harness long enough to allow the ECU to be mounted into the cabin. The plugs on the harness will plug directly into the factory sensors on your LS engine. It has the ability to run a trigger for your fuel pump, fans and anything else you may want to run off of this system. This harness does have an RPM lead for you to connect to a factory or aftermarket tach if you wish. 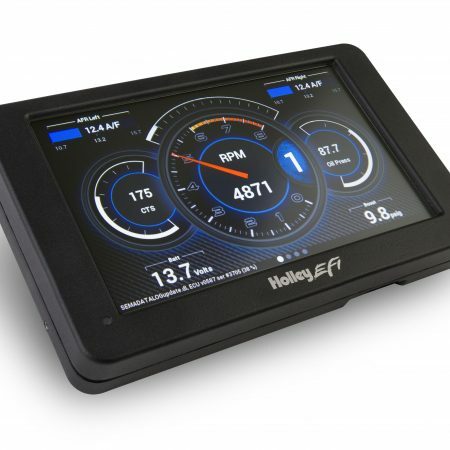 If you are looking for more complete data while you drive we also offer the digital touch screen displays from Holley which offer a wide variety of data that can be feed through the CAN bus. 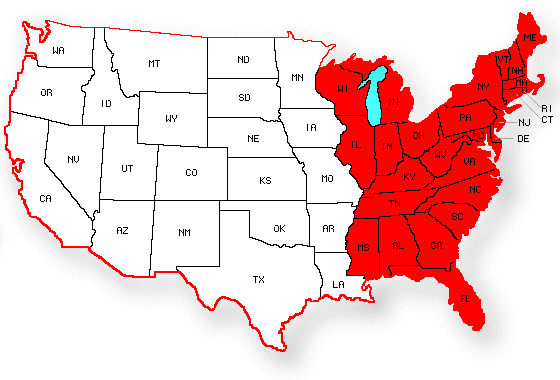 If you have any questions in regards to this system please contact our sales staff for assistance.